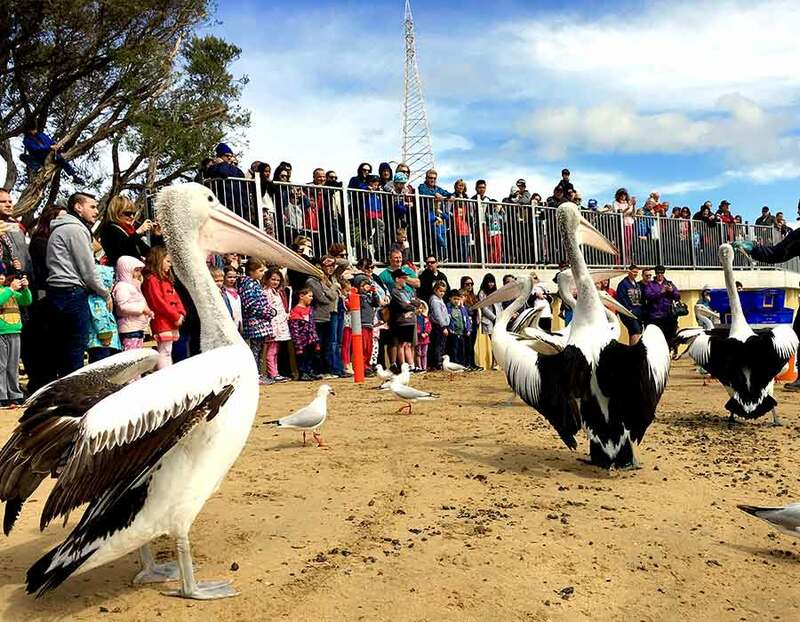 The San Remo Fishermans Co-op feed the pelicans daily at 12 noon, on the foreshore next to the San Remo Pier. Due to the fact are wild animals the pelican numbers can vary between 5-35 birds. This activity is undertaken by well-trained staff, free of charge and regulated by the Department of Environment, Land, Water and Planning. 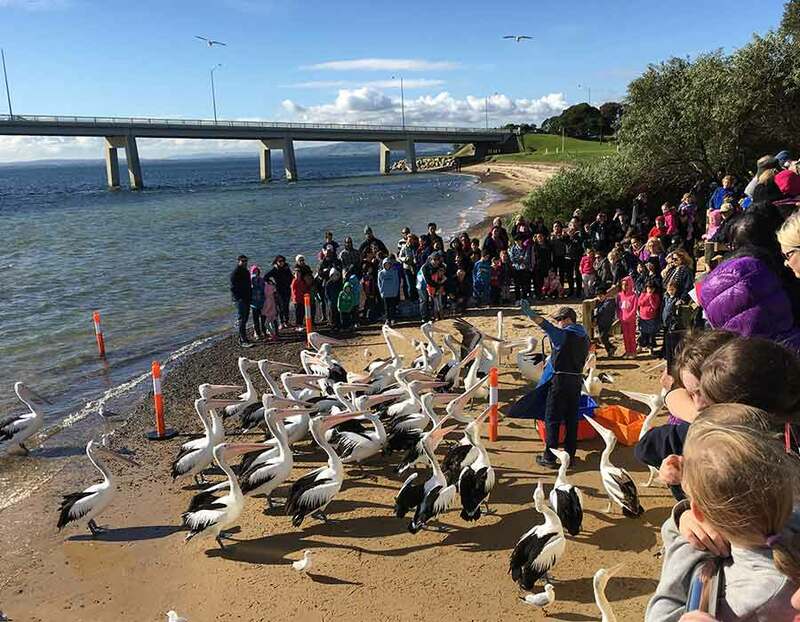 The purpose of the Pelican feeding is not just to give these hungry birds a feed and entertain the crowd but also to help educate the public in regards to the Pelicans, their diet, lifestyle and how we can improve conservation and environmental efforts to protect these and similar species. Whilst visiting the pelicans you can also find a variety of large Stingrays that can often be seen gliding through the water above from the pier or even down by the beach. The San Remo Fisherman’s Co Op has a rich history with these birds starting from local fishermen throwing them the unwanted fish offcuts and developing into a more structured feeding like what we have today. 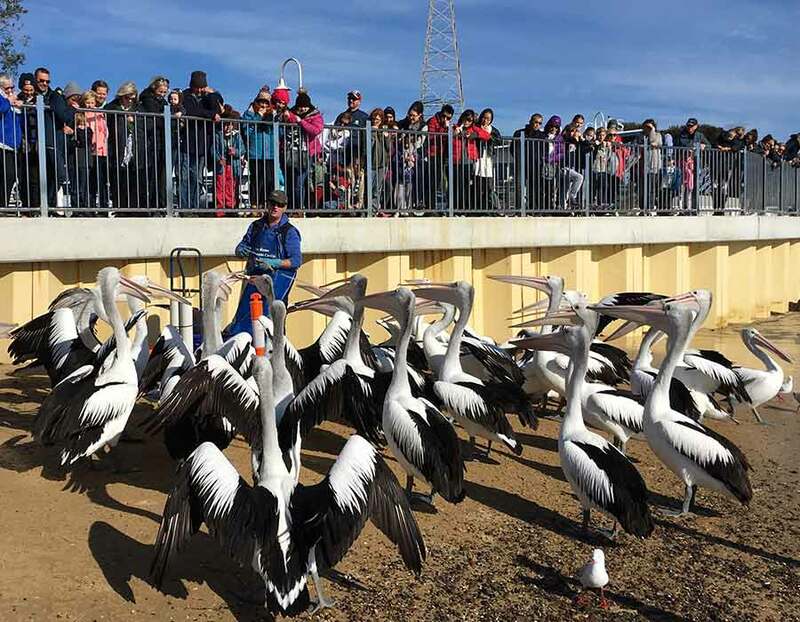 The pelicans feeding have been fed at a specific daily time since 1985 with Warren Dickie being the first regular pelican feeder. The Pelicans now have a great sense of when lunchtime is and usually gather in anticipation!